Fame vs Skill: What’s Baby Beckham Doing Behind the Camera? 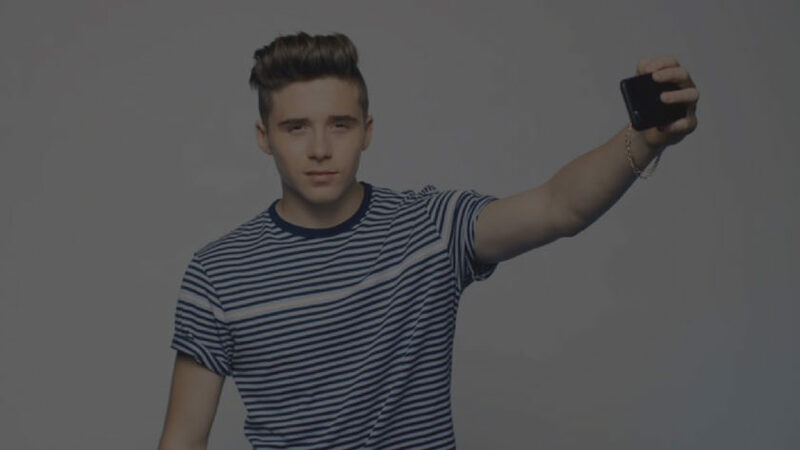 Earlier this year, British fashion label Burberry caused a media furore when it shoulder-tapped Brooklyn Beckham – the babe’n, 16-year-old offspring of David and Victoria Beckham – to take part in its big banger of a fragrance campaign, not as a model, not as a brand ambassador – but as the photographer. Brooklyn announced his fashion photography debut to the world via his Twitter and Instagram feeds using the hashtag #THISISBRIT. He then invited his 6 million followers to watch the photoshoot live on his Snapchat and Instagram accounts. While the #THISISBRIT campaign attracted a load of attention, it also outraged some of the world’s top photographers. They felt Burberry’s decision to use an untrained, inexperienced youth, simply for his huge social media following, was belittling to the profession. On the flipside, it catapulted young Beckham into the world of fashion photography and it connected millions of previously disengaged people with the Burberry brand. You think Burberry and you think trench coats, tartan (and dollar dollar bills). But Burberry was looking for a strategy to recapture the attention of its ‘younger’ audience and reposition the brand as young and hip. Social media presented the perfect opportunity to go directly to its target, or future target, audience. Burberry could have used any photographer it wanted for the photoshoot. But even the most famed fashion photographers don’t have a 6-million strong following. Putting the celebrity behind the camera was a clever and fresh approach, and hand-picking Brooklyn for the job seemed to be a smart move. What’s Mosh’s take on it all? We’re social media nerds, so of course we believe Burberry made a smart move in commissioning Beckham Jnr. Our Founding Father, Jeremy Marks, says they mightn’t have received the world’s best photos, but it seems they got something better: “Social media fame does not trump skill but Burberry wanted to attach their brand to Brooklyn Beckham and get in front of his followers. If they’d wanted amazing photography, they would’ve hired a pro. But it was obviously more about marketing than professional photography.